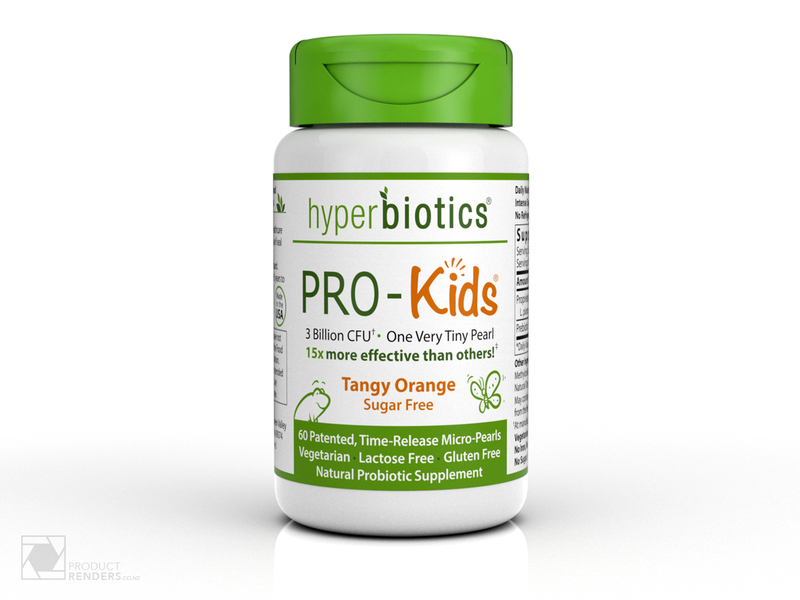 Hyperbiotics contacted ProductRenders after multiple failed attempts to find a 3D rendering company to create photorealistic images to a high enough standard of their range of vitamin supplements. The initial render was created using product samples of the plastic pot and the print-ready artworks used to create the final labels used on the real world product. More information about Hyperbiotics and the great product they make can be seen here.